August 2017 - Read. Think. Act. (Aug 2017) This book weaves together one woman’s personal journey through loss and grief with compelling research about how we cultivate resiliency and can actually experience growth following great tragedy. Option B is every bit as good as I expected it would be. I read Sheryl Sandberg’s book Lean In, and I’ve read Adam Grant’s books Give and Take and Originals. I would highly recommend them all. These two authors, who are also friends, have put together a very readable book that plumbs the depth of human loss in the most personal of ways. Sandberg has bared the raw emotions of losing her husband unexpectedly and finding her way forward through the fog of grief to reshape her life as a single parent of two young children. The book is much broader than just her personal experience, but her journey is the common thread that connects excellent research on resiliency and perseverance together with other people’s experiences and stories about overcoming adversity. 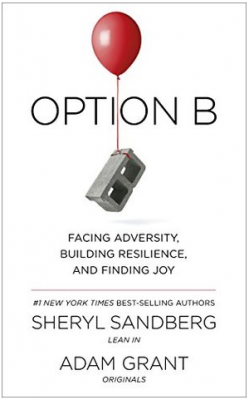 The book is told from Sandberg’s perspective, but it is very much a collaborative effort. There is great practical perspective in the concepts they put forward here. One that really resonated with me is how we are held back by “the three P’s” – Personalizing, Permanence and Pervasiveness. These things stand in the way of a “growth mindset” and become a hurdle to resilience. When we personalize things that happen to us as something specific to us, when we believe that we can’t change how we think or feel, and that this terrible thing that has happened affects everything else in our lives – that stops us from believing we can move forward. Resilience is the foundation of happiness. We can’t control many of the things that happen to us in the course of our lifetime, so we need to get better at how we respond to what happens to us. I think this book is a great primer on how to strengthen our resiliency muscle. I would highly recommend it. (Aug 14, 2017) Students return to Fairfax County Public Schools on Monday, August 28, 2017. In advance of this pre-Labor Day start date, host Catherine Read speaks with three members of the 12 person school board and the new Superintendent Dr. Scott Brabrand. Ryan McElveen and Pat Hynes were elected to the FCPS School Board in 2011, Dalia Palchik was elected in 2015, and Dr. Brabrand returned to Fairfax County as the new Superintendent on July 10, 2017. In the first segment Ryan McElveen, school board member At Large, talks about his path to the school board at the age of 25 after graduate school at Columbia University. He went through the FCPS school system himself, attending George C. Marshall High School and then on to the University of Virginia. He is not an educator by profession. He brought ideas based on what he believes the school system could improve to create a better educational experience for the students. He has also been a staunch advocate for the rights of LGBTQ students and staff, and last month made his views clear on the renaming of JEB Stuart High School. Ryan is committed to transparency in process and has connected with students across the county using social media tools like Facebook and Twitter. The 270K followers of @RyanLMcElveen count on Ryan to be the first point of credible notice of snow closures. 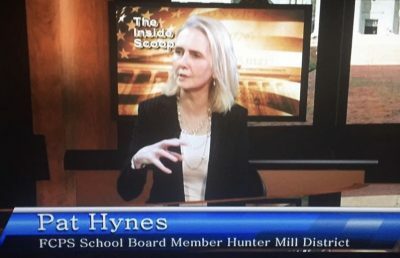 Patricia “Pat” Hynes represents the Hunter Mill magisterial district of Fairfax County where her own two children attended the public schools there. After attending the University of Virginia and Vanderbilt University Law School, she switched careers to become a teacher herself and still teaches in the classroom in Arlington County today. 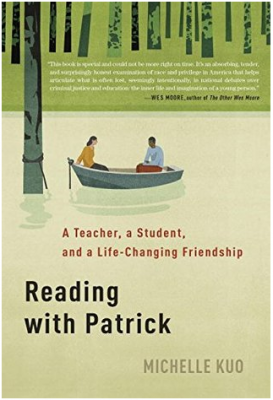 Pat is focused on creating greater equity in our school system. Fairfax County is the 10th largest school district in the United States, and in this county of 1.1 million people, there is a great deal of cultural and economic diversity that impacts student outcomes in the classroom. Finding ways of closing some of the existing achievement and opportunity gaps is a priority for her. She is also focused on investing more in renewable and sustainable energy for our schools and reducing energy consumption and the FCPS carbon footprint. 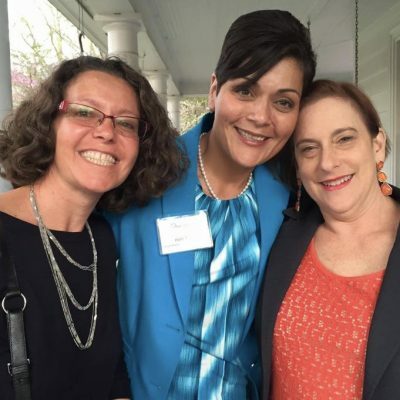 In the third segment, Dalia Palchik talks about her career switch from global micro-finance to education, where she is the second teacher to serve on the FCPS School Board. Dalia immigrated to the United States from Argentina at the age of 6 and learned English as a second language while attending Fairfax County Public Schools. A graduate of Thomas Jefferson High School for Science and Technology – one of the top ranked high schools in the nation – she went on to study cultural anthropology at Tufts University and to travel extensively. She is a language teacher, and an native Spanish speaker, who is focused on finding ways to serve the diverse student population in the county and their families. 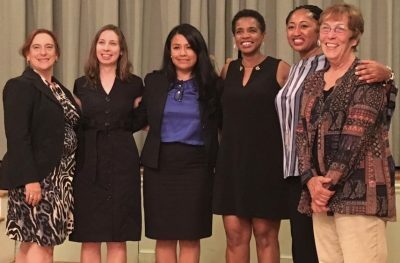 Dalia represents the Providence Magisterial District and within that district there many families from different countries who are working to understand their role in their children’s education. She talks about the new public bus program that allows middle school and high school students to get a free bus pass and how that could be expanded to include parents who also face transportation challenges in engaging with their children’s schools. Dr. Scott Brabrand is returning to Fairfax County from his recent position as Superintendent of the Lynchburg (VA) City School System. He switched careers after being a classroom volunteer and discovering that education is really his great passion. 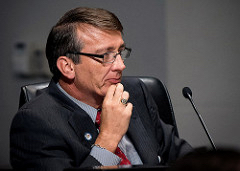 He served in many capacities in Fairfax County Schools from a Social Studies teacher at Herndon High School in the mid 1990s, to principal of Fairfax High School from 2005 to 2009, and then on to Cluster Assistant Superintendent. In each role, he has made measurable improvements in student outcomes. He talks about his emphasis on having a growth mindset in education. While acknowledging that testing can’t be entirely eliminated, he is focused on moving education toward critical thinking skills and fostering a greater engagement between students and their educational experience in the classroom. The early start date of Aug. 28, 2017, has been years in the making as the FCPS School Board has lobbied the Virginia Legislature to grant an exception to the “Kings Dominion Law” that keeps schools from opening until after Labor Day. This year, on Tuesday, Aug. 29th, there is a special election to fill a FCPS School Board vacancy. Voters will go to their regular polling places – many of those at schools in Fairfax County – while school is in session this time. This is an important election and Fairfax County residents are encouraged to mark their calendars and plan on voting. (Aug 2017) So much of life is intangible, and places don’t feel like they’re disappearing to the people who are living there. This review is an ode to independent bookstores, journalists who write books, rainy vacation days and to Virginia. My husband Tom and I like to come back to Chincoteague Island as often as we can. We eloped here in July of 2011 and we continue to come back because it is a peaceful place that speaks to us. 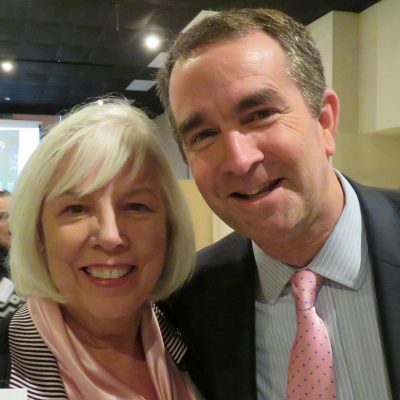 We both grew up in small rural communities – Tom in NW Georgia and me in SW Virginia. There is something about the timelessness of this place that author Monica Hesse captures in this book about Accomack County on the Eastern Shore of Virginia. I likely would not have encountered this book except I am drawn to independent bookstores like a moth to a flame. Sundial Books on the Main Street of Chincoteague Island was featuring this book on a display that faced the front door. Perhaps it’s the cover photo that is vaguely reminiscent of the cover of Hillbilly Elegy that drew me to the book. The well written synopsis on the inside of the dust jacket and knowing it was written by a journalist with The Washington Post made it a “must have” a minute after I picked it up. The reason I don’t mind rainy days on vacation is because they are meant for reading. In fact, I love a rainy vacation day because I rarely ever have the luxury of reading a book from start to finish in a single day. And here I was, sitting in Accomack County reading a book about the arson that gripped this rural community for five and a half months in 2012 and 2013. Over eighty-five fires, multiple fires a night, that stretched the capacity of the all volunteer fire departments to cover a rural county where they identified 1,400 abandoned buildings that were all possible targets. I couldn’t put this book down. Monica Hesse did such wonderful research on every aspect of this story. The history of Accomack County is one I did not know, despite being a native Virginian whose own ancestors go back to the 1600s – just like many families who are central to this story. Many of us know our own stories and the stories of where we come from, but learning about the other histories of Virginia is endlessly fascinating to me. Beth Macy, a journalist with The Roanoke Times made the story of the furniture industry in southern Virginia equally captivating in her book Factory Man. I hope this is a trend that continues among journalists who see the potential for a good story to become a book of real substance. There is a true art to writing non-fiction that reads like a novel. 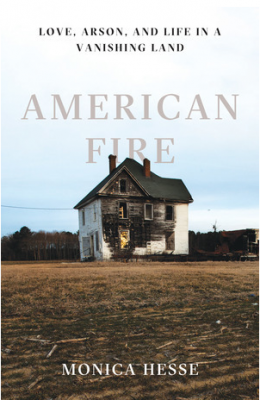 American Fire is well written and the structure of the story is what keeps you turning the pages to find out more. It’s about so much more than the story of the arsons and the arsonists. It’s about a way of life that most of us cannot relate to. I loved the designations of Born Heres, Come Heres and Been Heres. I get that. Her specificity of this being a “close knit community” rather than a “small community” is also important to the story because the county is large but sparsely populated. One hundred years ago, Accomack County was the richest rural county in the nation. The railroad and potato farming created wealth and jobs for the people who lived here. The advent of the automobile was the beginning of the end of that boom time. Now chicken farming is the main industry here with Perdue and Tysons being the major employers here in the county. The population is aging and young people leave to find better opportunities on the mainland. This is the economic story of towns and counties all over America who have seen the rise and decline of industries that built and sustained communities but can sustain them no longer. I highly recommend this book. Hesse draws you into the stories of people in a singular moment in their county’s history. While the main protagonists of this book are the arsonists, the other people central to this story are authentically drawn as well. Her research is meticulous and thorough, her end notes generous to all those who made this book possible. She is a good storyteller and this story was crying out to be told. 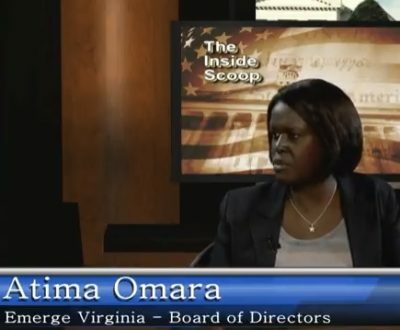 (Aug. 2, 2017) Catherine Read talks with Laura Yager, of the Fairfax County Executive’s Office, about the Diversion First Program here in Fairfax County, Virginia. The initiative grew out of collaborative efforts among the Fairfax County Sheriff’s Department, Fairfax County Police and the Fairfax County Board of Supervisor’s Chairman, Sharon Bulova. In 2015, Fairfax County Sheriff Stacey Kincaid organized an exploratory trip to Bexar County, Texas, to learn more about their model of Crisis Intervention Training (CIT). After 26 years in the Sheriff’s Department prior to her election, Sheriff Kincaid was struck by how many of those incarcerated in the county’s jail were suffering from mental health issues. Over a period of years, local jails in Virginia and across the country have become de facto psychiatric facilities. That presents situations for those who work in these facilities for which they have not been trained. Crisis Intervention Training has been designed to help diffuse and de-escalate situations where law enforcements comes into contact with those in a mental health crisis, as well as those in the Intellectual and Developmental Disability community who may have trouble processing instructions or interpreting the actions of law enforcement officers. It’s not always evident to officers that someone they are engaged with is on the Autism spectrum or has a developmental disability. Families with older children in the disability community now have the option of requesting a CIT trained officer when they call 911 to help with a domestic situation where there is a possibility of harm to the child or to others in the home. Anyone phoning 911 can make that same request. CIT training is provided on a regular basis to the county’s law enforcement personnel to increase the percentage of officers on the force who have these skills. The Merrifield Crisis Response Center (MCRC) was launched as part of this new effort to direct people who interact with law enforcement to the appropriate services. The MCRC is overseen by the county’s Community Services Board (CSB) and the goal it to triage what is causing the need for officer intervention and whether the person in custody needs to be in a hospital, a mental health care facility or should be taken to jail. There is still widespread stigma surrounding mental health issues and substance abuse. Too often the reluctance to acknowledge a problem leads to a lack of appropriate treatment and subsequent interaction with law enforcement. 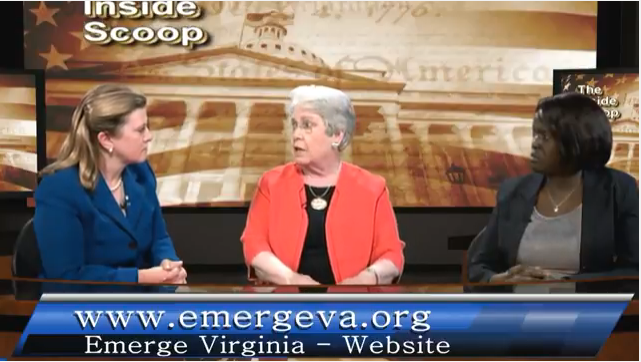 Laura Yager talked about a new program in Fairfax County called the Turning Point Program which addresses the specific needs of young people from 16 to 25 who experience a first episode of psychosis. The program helps them to create a treatment plan that keeps them in school, in their homes or in supported housing, and in their chosen community. Mental Health First Aid Training is part of both Diversion First and the Turning Point Program’s agenda in raising awareness about how to recognize the signs that someone needs mental health services. Just like CPR training or regular first aid training, Mental Health First Aid Training is designed to help with evaluation skills and knowing the appropriate steps to take in seeking assistance for someone who is experiencing difficulties. 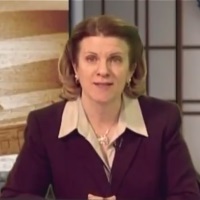 While Fairfax County does not have a Mental Health Docket, the Diversion First Program is working to train administrative staff in the courts, and magistrates as well, to recognize when mental health issues, addiction issues or intellectual disability issues are a factor in why defendants are coming before the court. Working at the pre-trial level, the CSB and Court Services Staff are evaluating cases early in the morning before defendants are brought before a judge. The goal of Diversion First is to put people in treatment programs where it is appropriate and not in jails where they become part of an endless cycle in and out of incarceration because the real issues that put them there are never addressed or resolved.